7 Card Stud Variations - Casino Answers! If you’ve been playing 7 Card Stud online, you might not realize that there are actually a lot of different ways to play the excellent game of Seven Card Stud. These are variations that can really spice up your next home game when it comes to Dealers Choice Poker. RING GAME: This is your standard table game. Tables are normally six or eight max. Why not ten like hold em? Well there’s only 52 cards in the deck, not 70. You’re probably doing some quick math in your head right now and realize that 8 players times 7 cards is 56 cards, four cards too many, but you need to realize how rarely all eight players stay until the end. Most people smarten up and fold at some point, but on the extremely off chance that this were to happen seventh street would be a community card. In my thousands and thousands of seven card stud hands we have only seen this happen once. That’s it. Best poker room for 7 Card Stud ring games: Pokerstars has a wide range of limits and many tables to choose from that are always full. HEADS UP: For a true test of poker there is no better way to test your skill than playing one on one with another player. TOURNAMENT: Just like a ring game, except once your chips are gone so are you. 10% of the buy-in is regularly taken for the house with the top players splitting the pot based on how many players are in the tournament. There are many different types of tournaments (re-buys, add-ons, et all), but most are structured this way. Of course, there are games within games of seven card stud. We will start with variations you can find in the casino and then move onto games found at home. SEVEN CARD STUD: Or seven card stud hi. The best hand wins. SEVEN CARD STUD HI-LO: Also known as 8 or better. Same basic rules as seven card stud hi, but on many hands the pot will be split when someone wins the low pot. Examples of this would be when two players are playing heads up and they both have a straight. In this situation they would split (as long as the low straight qualifies). The best possible “low” hand is A2345 otherwise known as the wheel. The highest low hand is 87654. Pairs are not allowed for the low hand, but straights or flushes are okay. A person winning both will have “scooped the pot”. Pokerstars is a great place to play Stud Hi/Lo. RAZZ: The same basic betting and dealing rules as seven card stud except you are only playing for the low pot. Straights and flushes do not count. Pairs, face cards and three of a kind are your kiss of death here. A2345 is the best hand in this game. FOLLOW THE QUEEN: This is seven card stud with a wildcard, but instead of the dealer deciding the wildcard pre-flop it is decided by the deal itself. So, if someone is dealt a Queen face up the very next card to come out is the wild card. This is a fun version to play at home. CHICAGO: Another reason seven card stud is a popular home game is this variant. Basic seven card stud rules apply, but whoever holds the highest spade in the hole splits the pot. If you get dealt the Ace of spades in the hole, keep on betting because you are guaranteed half. BASEBALL: This one can get crazy and should be only counted on for fun. 3s and 9s are wild (three strikes, nine innings) and if you are dealt (ball) 4 you get an extra card. You’re never safe in this one unless you have a royal flush. EIGHT CARD STUD: Last two dealt face down. LOW HOLE WILD: Everyones lowest card in the hole is wild. FOUR FOUR FOUR: Variant of 8 card stud. Four up, four down, fours are wild. First three are dealt down and eigth street is also down. THREE THREE THREE: Six card stud. Three up, three down, threes wild. First two dealt down and sixth street is also down. HAREM: Dealt like seven card stud, but Jacks and Kings are wild. UNLESS you hold a Queen in which they are then nullified as wild cards. The nuts is a Harem, which would be three Queens. Barring this hand being held normal poker hand ranks apply. There are many more out there (and more being developed everyday) if you have a game we aren’t listing please leave information in the below contact form about it so we can list the details here. Thanks! Stud variations to play at my home poker game? 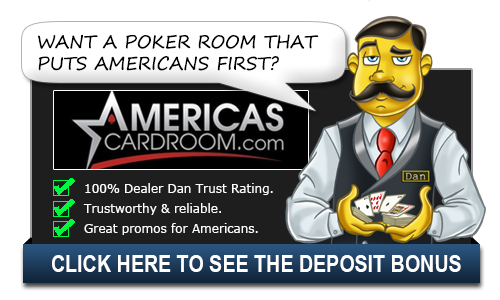 What different types of 7 Card Stud Poker is there?